In the current times, when people are suffering from unrecognized and life-threatening diseases, biotechnology plays a significant role in the development of antidotes, medicines, and vaccinations. We, at xCess Manpower, are engaged in rendering excellent recruitment services to the biotechnology companies across Ahmadabad (Gujarat, India). We assist the biotechnology companies in getting candidates from science background. 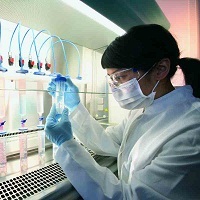 Our motive is to help the biotechnology industry in getting talented professionals who can add value to the companies. We provide services for different sectors of biotechnology that includes agri-biotech, bio-pharma, bioinformatics, bio industrial, and bio service sector.